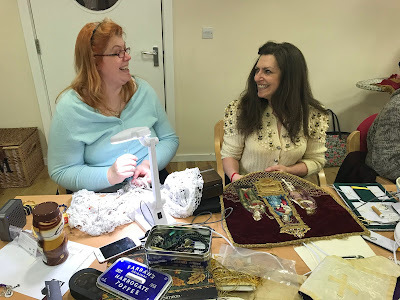 The Guild of St Clare held its second Sewing Retreat in the teeth of the Beast from the East last weekend. The Carmelite Retreat Centre, where it took place, is in a delightfully rural location, at the top of Boars Hill. 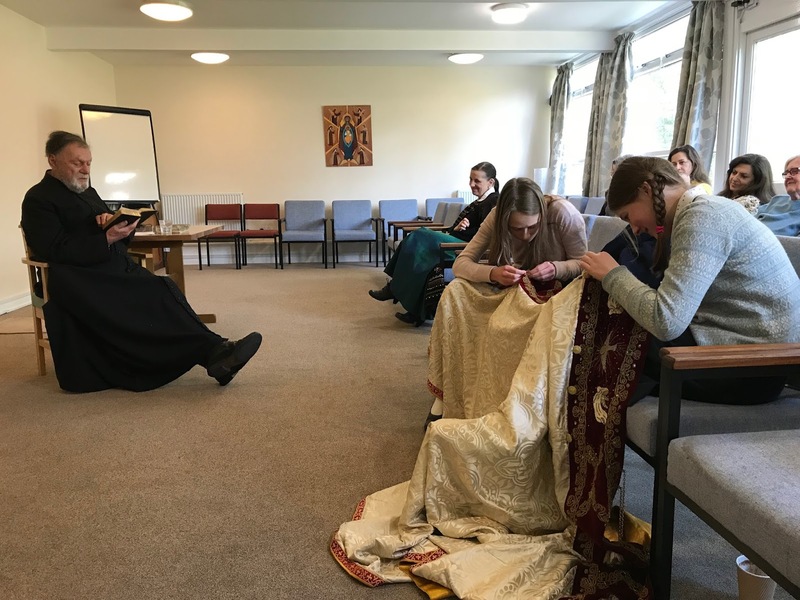 The roads were untreated, and retreatants defied the blizzard and the snowdrifts to make their way finally to the peace of sewing, spiritual conferences and, most importantly, the traditional liturgy. 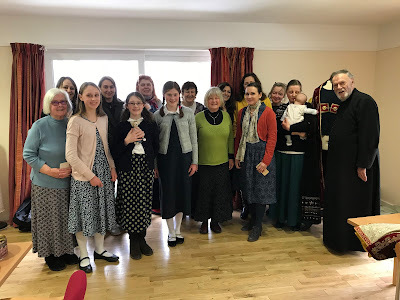 Fr John Hunwicke, chaplain to the Retreat, gave a series of talks on types and anti types in the Old and New Testaments in relation to Lent and Easter, celebrated daily Mass, and led us in Benediction and Compline. The retreatants worked unstintingly on the various vestment repairs, and achieved an astonishing amount, including replacing worn-out orphreys on a chasuble, reattaching fringe and clasps to a red and gold cope, re-making maniples and a burse, and repairing the nineteenth century handmade bobbin lace on an alb. Mending these often very beautiful vestments, which will be used in celebrating the Holy Sacrifice of the Altar, is to assist at Mass in a tangible way; it is a reward in itself. It's no wonder that the retreatants form such a happy community while working together on them. Many thanks to everyone who braved the weather to take part. Next year's retreat will take place on the first weekend of February. Bookings will open shortly on the LMS website. It sounds so great!! Thank you for updating!